Yes. 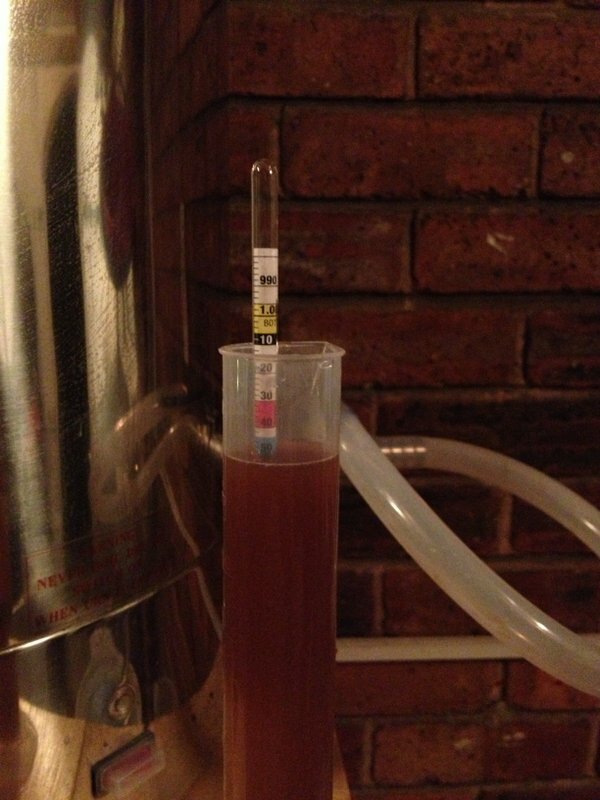 You read that correctly, it’s not even August and I have brewed my beer for Christmas drinking. This one should be pretty special too, a strong malty spiced Christmas Ale. Think the beer equivalent of mulled wine and you are pretty much there! The reason for brewing this so early is that it really needs 3 or 4 months conditioning time in the bottle to allow all the flavours to develop fully and balance out. This one is going in a crate, at the bottom of the stack until December 1st! Phew! What a shopping list?! To quickly run through the new ingredients; Vienna Malt is a fairly dark aromatic malt which helps bring out a fuller flavour, Caramunich helps bring out the malt profile, Biscuit Malt does what you’d imagine really, adds a biscuity taste to the malt profile, and finally Carafa 1 Malt is a dark roasted malt similar to Chocolate Malt and gives a strong malty aroma to the finished beer. The Hops in this recipe are mainly there to balance out the sweetness coming from the malts so aren’t used in great quantity. Then there is the spice list, all these add that little Christmas something, and the Belgium Candi Sugar helps add fermentable sugars to the brew without the need for any more grains. 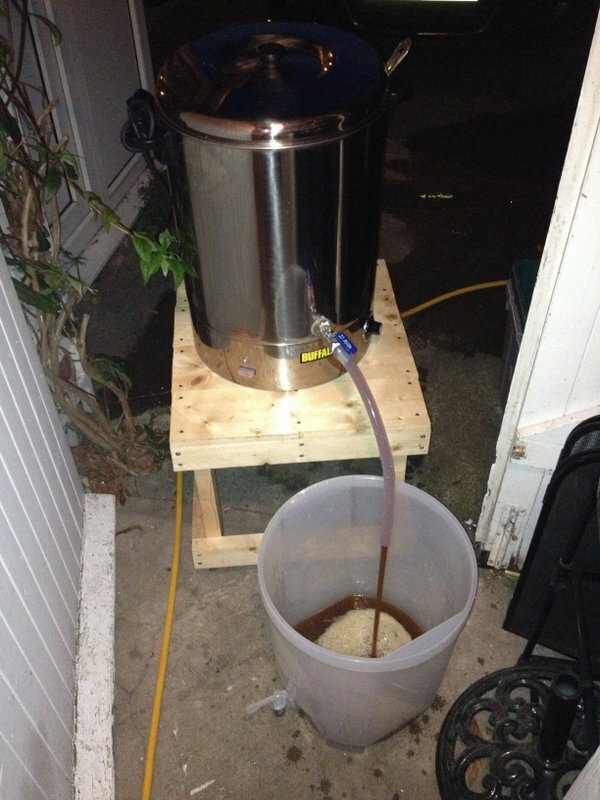 Finally it is all finished off with a pack of Wyeast’s Belgium Abbey Ale II liquid yeast. 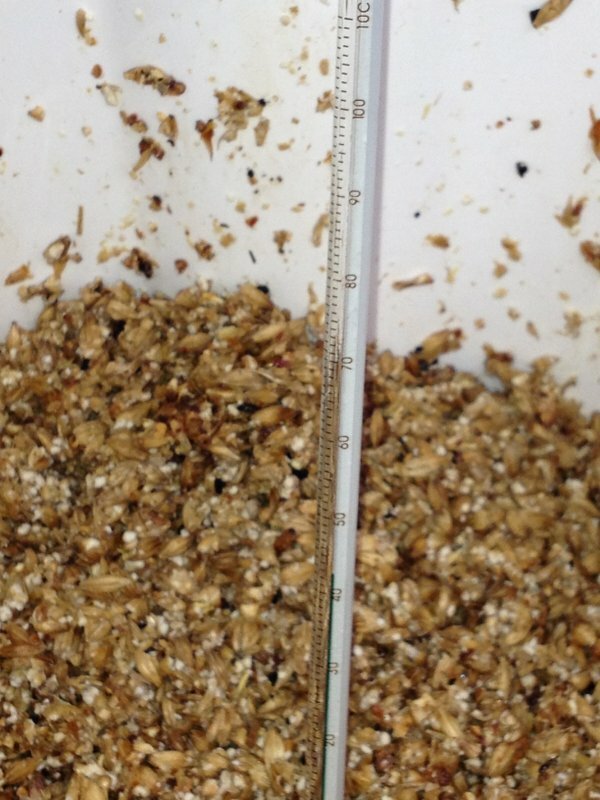 Target OG for 23l is 1.062 giving a target ABV of 6%. Sounds perfect for Christmas Day! 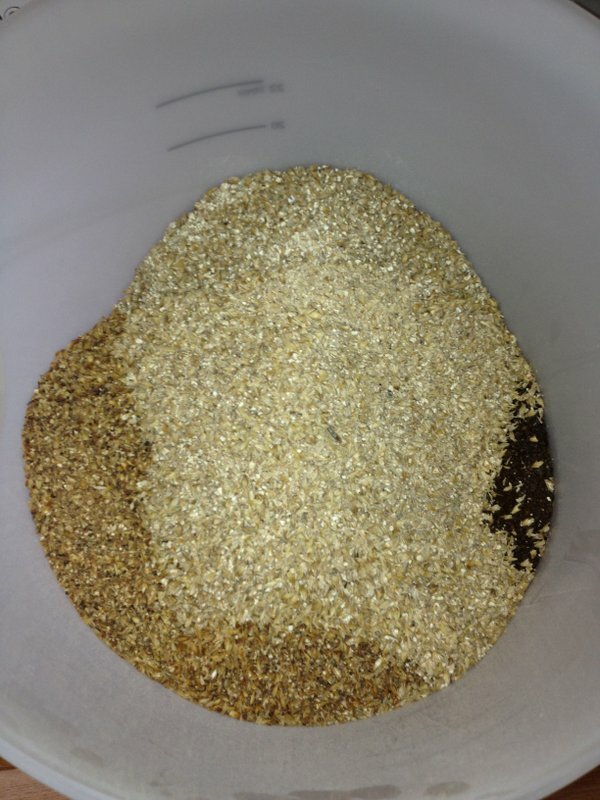 The grain and spice shot! 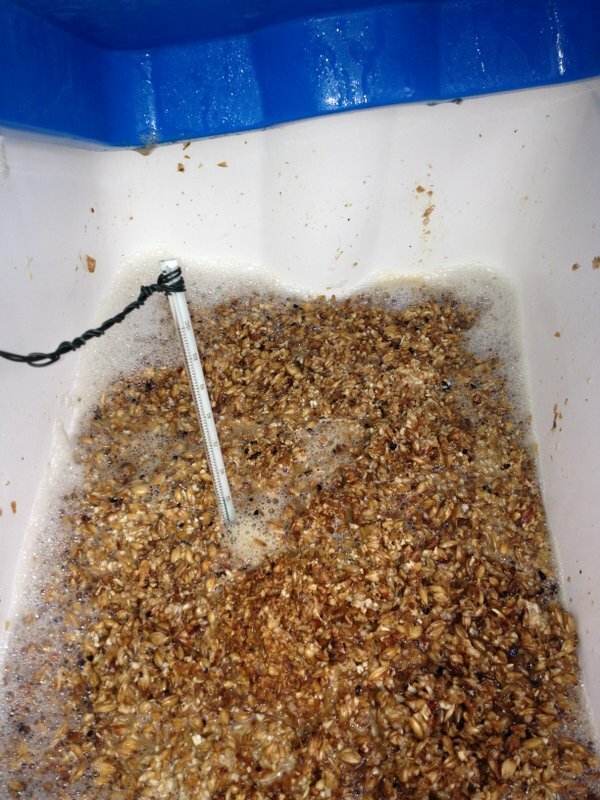 Mashing in progress. Almost hit the correct temps this time ! 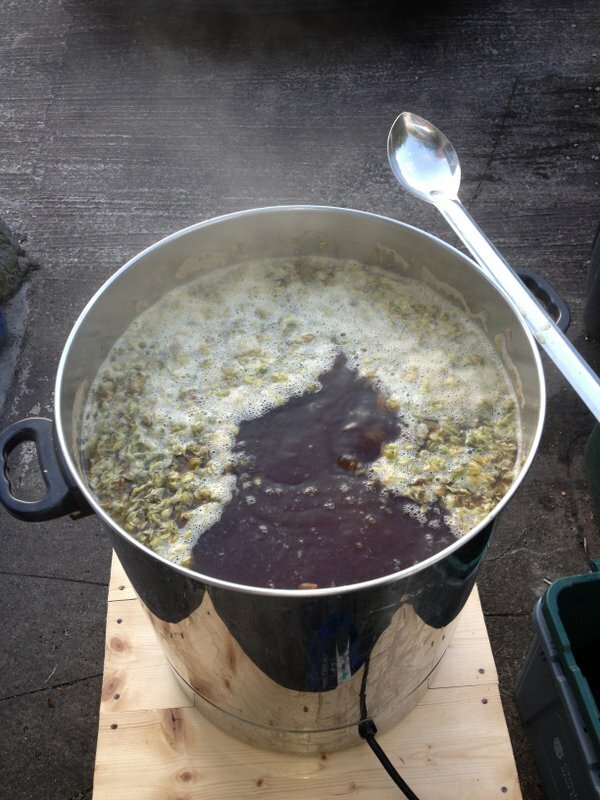 Coming to the boil, and 60 minute hops added. 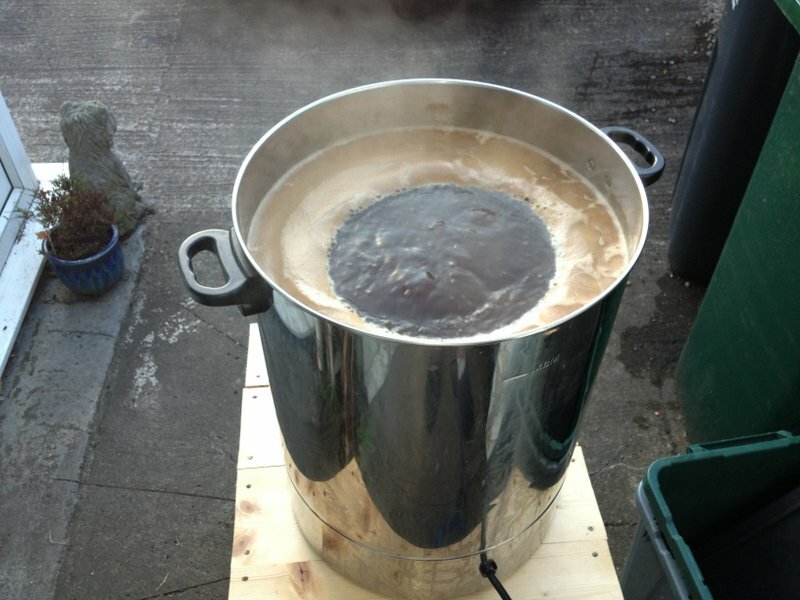 This brewday’s lesson? I must remember to buy some Dried Malt Extract to keep in my store box! 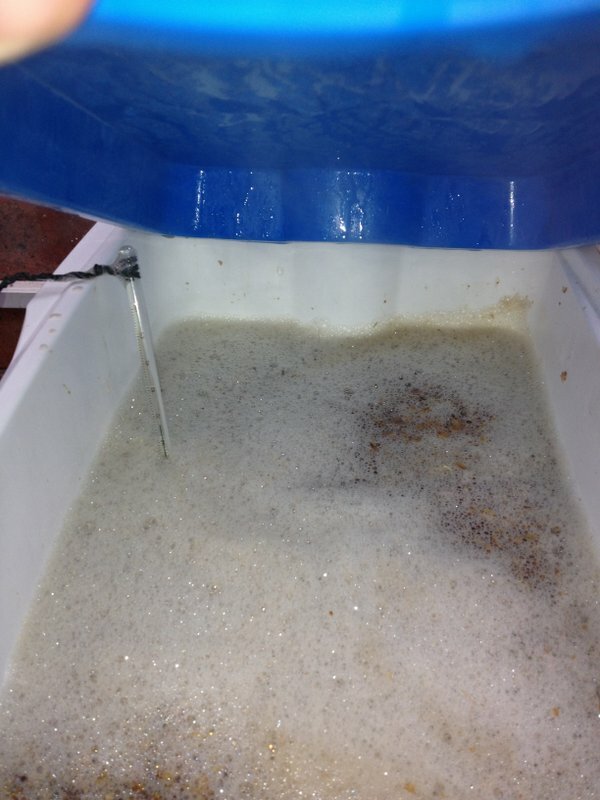 DME can be used to add fermentable sugar back into the brew to raise the OG and therefore the ABV. Not a must have, but useful to be able to fix a brew if it has come out too long like this one has. So now the brew has 14 days to ferment, and then into bottles to be kept hidden until that fat bloke with the white beard starts his warm ups!